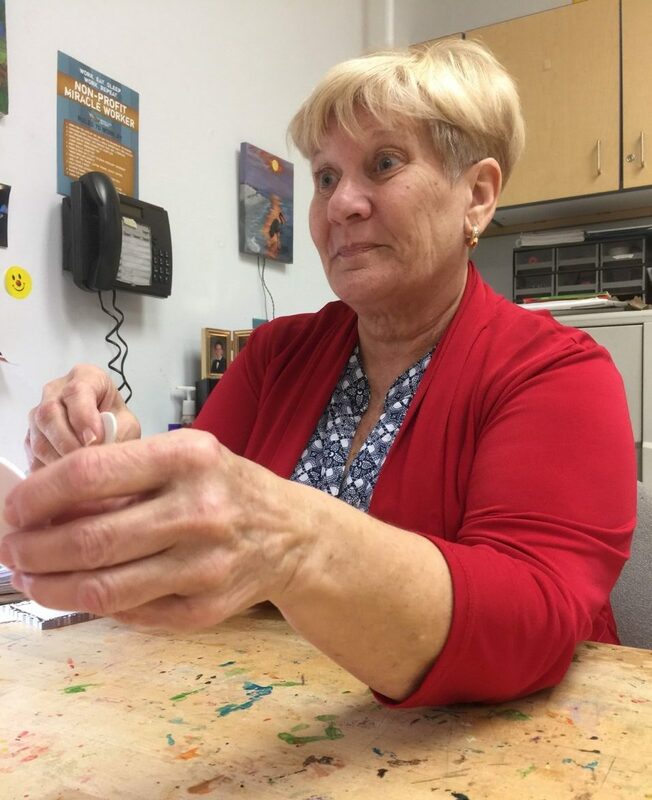 Lynn Foulke has brought support, love, comfort and encouragement to her therapeutic recreation patients for 41 years. The Therapeutic Recreation department at Bacharach offers patients the opportunity to find or rediscover a hobby that they love. Patients recovering from a stroke, spinal cord injury, brain injury, amputation and other conditions participate in therapeutic recreation to re-learn leisure activities, sometimes using adapted devices. Aside from learning to use adapted devices, patients participate in other activities including music programs, wheelchair Zumba, yoga and pet therapy. Often at the end of a patient’s stay, Lynn takes them on a community outing of their choice. The outing allows patients to use the skills they have learned in physical and occupational therapy and perform those skills in a public setting. Patients practice accessing curb cuts and ramps, opening doors and maneuvering around people in a public facility. Lynn has spread her love of helping people to both her daughter and her granddaughter, who spent a lot of time volunteering and working in Lynn’s department. Her daughter is a nurse and her granddaughter is studying to be one as well.